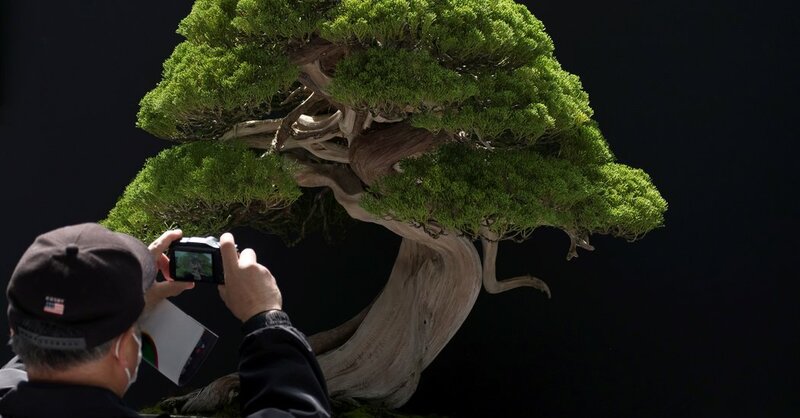 TOKYO — For decades, a prized, 400-year-old Japanese bonsai tree has been shaped, watered and cared for with all of the precision needed for a priceless piece of art. In the wrong hands, it could die within a week. The tree, a 33-inch-tall Shimpaku, was among seven trees stolen from the garden of Seiji Iimura, 54, the fifth-generation owner of a bonsai shop in the city of Kawaguchi, near Tokyo, in January. All together, the stolen trees were worth more than 10 million yen, or about $90,000. Keeping bonsai trees requires a potent mixture of dedication and skill, commonly creating a deep emotional connection for their owners. Mr. Iimura had looked after the Shimpaku meticulously for 25 years. In interviews, Mr. Iimura and his wife begged the thieves to return the trees, and to make sure to water them in the meantime. The police have been unable to track down the thieves. Mr. Iimura said his large, 3,000-pot garden had been open — the couple never considered the possibility that someone might steal one — but they have since installed several cameras. They’ll soon construct a fence, and are considering adding a siren. Keeping a bonsai tree is as much an art as making a painting of one, with owners using wiring and pruning to shape the trees, often over several decades, into miniature versions of those found outdoors. They have a similar appeal as doll houses or model cars, shrinking something towering and magnificent so it can fit into a home or garden. Long associated with Japan, the tradition of caring for the trees started in China around the year 1000 and has spread to dedicated owners across the globe. Several previous theft victims have mourned their stolen trees in a similar way to the Iimuras, portraying it as a familial loss. “It’s not the money, these plants were like children to me,” Suzanne Berv, of Great Neck, N.Y., told The New York Times in 1978 after eight of her bonsai trees were taken. “It’s almost like somebody kidnapped one of your kids,” Fred Miyahara told KPBS, a public radio station in San Diego, in 2013, when a tree he had cared for was stolen. While the trees can be sold for hefty sums on the black market, Mr. Iimura said he hoped international news coverage would make it more difficult for the thieves to sell the trees. “All we want is the bonsai to be returned,” he said.